...he always forgets which eye he's supposed to have lost. Shading on this page is going to have to wait until AFTER I'M DONE STRESSING OUT OVER INTERVIEWS AAAARRRGHHHHH. This is the last update for a bit--I am back on Feb 9, ok? 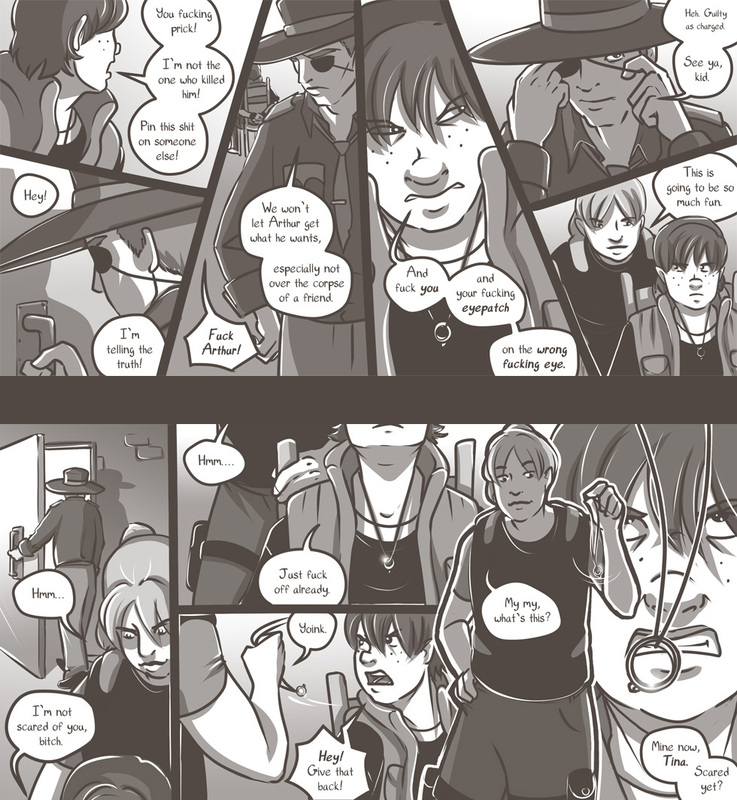 Same vote incentive as wednesday--an alternate conversation between Colbey and Sheriff Bob. Vote for WiT!. HOWEVER! She will be getting prettier (in the "traditional American" comic sense) as this side-project progresses, until she will be unrecognizable. I will present this at the end as a collage (of horror). Next up: stupid froofy hair and getting rid of the vest! Each one is $5, and you can see the transformation is happens here on my DevART.